In 1947 the "Copa Eva Duarte de Perón" was established as an annual and official tournament founded and organized by the RFEF, as a tribute to Argentine president Juan Perón and his wife, the popular Eva Perón. It was played between September and December, usually as one-match finals. 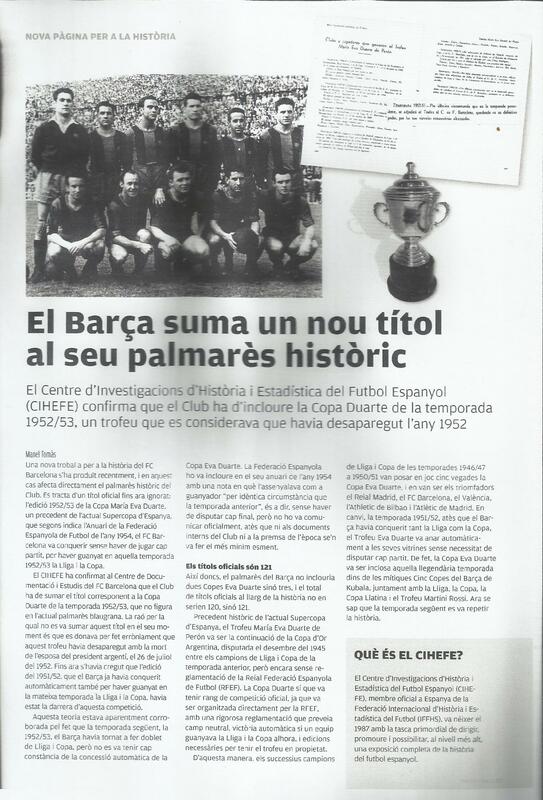 The trophy was the predecessor of the current Supercopa de España, first held in 1982. This page was last modified on 28 December 2015, at 01:42.